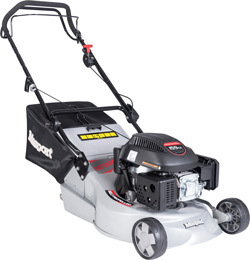 Masport 350ST SP Lawnmower 18" Self Propelled 3in1 . 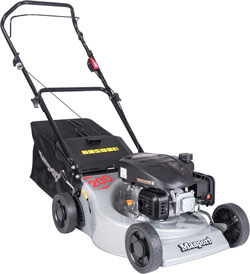 The Masport 350ST 18" Self Propelled 3in1 Petrol Lawnmower offer a cutting width of 18"/ 46cm, with a choice of 10 cutting heights, which can be set between 10-73mm, using a single lever. You will not find many if any rotary mowers ...more about this Masport 350T Combo lawnmower. These incredibly good value for money mowers offer outstanding performance and a superior build at a fraction of the cost of other similar quality machines. This Rotarola has a huge 22" width of cut and delivers a beautiful striped, rolled finish....more about this mower.